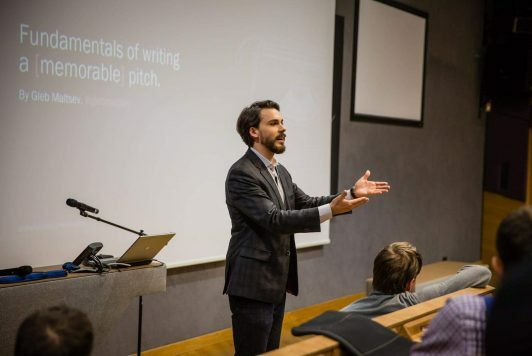 If frequenting pitch competitions has taught us anything, it’s that having the right startup-audience fit is key. 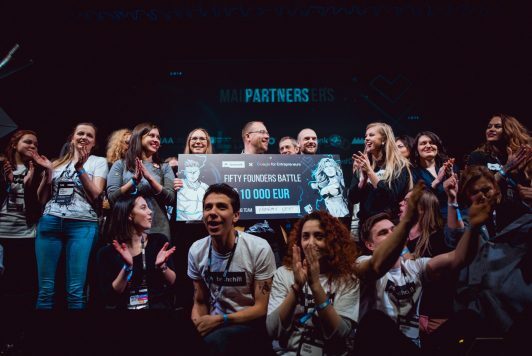 Fifty Founders battle, the cornerstone of TechChill 2019, is no exception and getting the most relevant people in front of the early-stage startups is at the top of our priority list (and vice-versa). To achieve just that we knew we had to narrow down the search criteria by specifying strategic industry verticals, followed by a hand-picked jury to match. This way avoiding the one size fits no one trap. But it’s not just up to us to decide what’s hot and what’s not in the Baltics, Nordics, and CEE. We draw inspiration from the ecosystem itself, looking at the startup activity, governmental initiatives, and accelerators, which we consider to be a great indicator of early-stage deal flow in the region. In Latvia, the government has increased its involvement in the start-up ecosystem: as of mid-2018, there are four accelerator programs for early-stage startups operating in Latvia, three of them receiving support from the government. Whereas Lithuania is positioning itself as one of the most attractive destinations for Fintech startups with the cluster of payment and electronic money institutions tripling last year alone. And Estonia keeping the pace and seeing a +27% growth (as compared to last year) in new employees hired by Estonian startups – Top 20 startups counting for 56% of the jobs created – and increasingly contributing to the economy through employment taxes. Things are definitely not slowing down. We decided to build on top of that by combining it with other data available across the Baltics, which led us to five industry verticals we deem important to shine a light on – Fintech, SaaS, Hardware & IoT, Deeptech, and Impact. Let’s dig in. Don’t need any more convincing? Apply now. Baltic countries perceive the Fintech space as critical to economic growth. As much as 70% of investments flow towards Fintech solutions with 18% of startups in the Baltics operating in the Fintech scene according to data collected by Baltic Startup Mag. But it’s not only the startups that are getting their share of the pie. The principal banks in the region are also on board proactively looking for new solutions and partnerships. One of the most prominent examples is the Startup Wise Guys’ Fintech accelerator with Swedbank, which attracted a number of international applicants. This upsurge in Fintech startups follows a general European trend. As identified in the Seed the Future report, Fintech and Medtech challenge one another for the greatest share of early-stage investment in Europe. As blockchain technologies gain their footing, we expect this number only to rise. The sub-sectors Fintech startups companies could be operating in include lending, payments, blockchain technologies, and several others. Choosing Fintech as one of our verticals seems like a no-brainer. Fintech and Medtech challenge one another for the greatest share of early-stage investment in Europe. As blockchain technologies gain their footing, we expect this number only to rise. According to Seed the Future report, in Europe SaaS falls in the top-earning verticals bringing in 800.72M in early stage investments. In the Baltics, SaaS startups account for 32% of startups in the region. It comes as no surprise that since SaaS companies are cloud-based, hundreds of sub-sectors can fall under its umbrella. To bring out some trends, according to Forbes’ Cloud-100 2018 list, the top five industry categories are Infrastructure & Developer Tools, Sales & Support, Security, Data & Analytics and Collaboration & Work. When it comes to Fifty Founders battle, we presume that most of the application coming in will target B2B SaaS, but only time will tell. Hardware is not the easiest field to operate in, there’s no doubt about that, but fuelled by crowdfunding sites, cheaper electronics costs and consumer demand it’s definitely one to keep an eye on. We see many startups from the Baltics leading innovations in this field. Buildit Accelerator for Hardware and IoT startups, for example, demonstrates that there is a demand in the region for accelerators helping teams build tangible products and turn them into viable businesses. With the introduction of 5G networks, the density of connections around us is only set to increase as smart devices will come about connecting virtually an unlimited number of everyday objects. If you are working with the Internet of Things, Hardware, Wearables, Intelligent devices this one is for you. With the advent of 5G networks, the density of devices connecting virtually an unlimited number of everyday objects is only set to increase. What distinguishes this vertical from the others is that Deep Tech companies solve complex problems through significant scientific discoveries and technological innovations. While often these companies can be more about science than business, certain categories have gained significant footing with investors. Artificial Intelligence and Machine Learning are terms often found within Deep Tech. With a high number of graduates in science, maths, computing, engineering, manufacturing, and construction coming from the Baltics, Deep Tech is well positioned to thrive in the region and create opportunities. Examples of Deep Tech include artificial intelligence, robotics, autonomous driving & delivery, space-flight, aviation, computer vision, speech recognition, AR/VR. Deep Tech companies solve complex problems through significant scientific discoveries and technological innovations. When discussing startup trends one of the areas that often gets cited last is social entrepreneurship and innovation. But it is not to be ignored for the important role that it plays in the development of a region’s economy by providing solutions to challenging and often systemic social and environmental issues in support of social progress. The directions that social innovation initiatives can take are demographic shifts, environmental changes, new community trends (digital societies), poverty, health inequities, and demand for ethical goods and services. Investors are also taking note as seen with Medtech which is at the top when it comes to attracting early-stage investment, as identified by Seed the Future report. And there is plenty to do both in the Baltics and around the world. Currently, social startups make up 5% of all Baltic startups and although not that many startups are working in this field, we want to encourage and give voice to the ones that do. Social entrepreneurship and innovation play an important role in the development of a region’s economy by providing solutions to challenging and often systemic social and environmental issues in support of social progress. Although we have defined these five verticals as separate tracks – their boundaries can often blur especially when it comes to cutting-edge technologies such as AI and Blockchain which have horizontal applications across many industries. 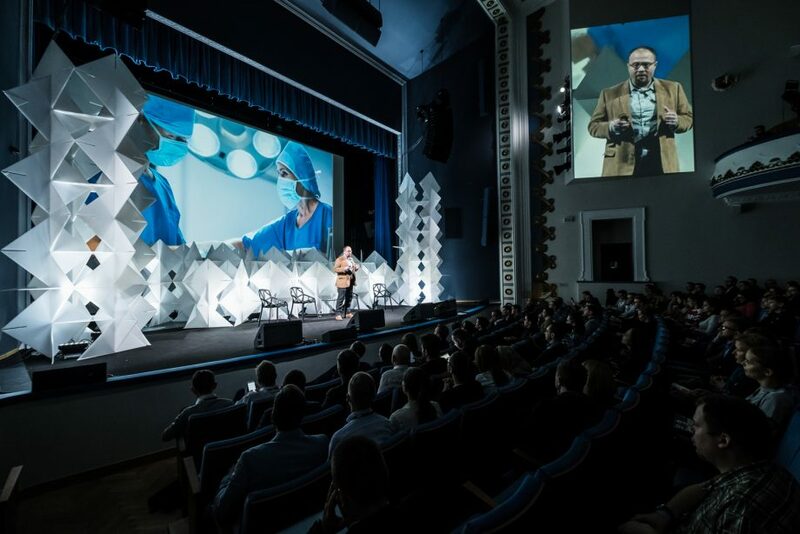 Once you have decided which category you belong to, fill in the application, and a selected jury will go over the applications and pick the fifty startups, ten per each vertical, to deliver a 2 min pitch on day 1 of TechChill 2019 on the Founders stage in front of the industry-specific panel. Following all the pitches, the panel will narrow it down to TOP 5 startups, that will pitch on the main Superhero stage on day two. The winners will walk away having gained stage time in front of an audience of 2000+ people and with €10 000 no strings attached – but it doesn’t stop there, one selected startup will get fast-tracked to Startup World Cup Finals in San Francisco in May 2019. With less than a month left till the applications close, it’s now or never. Follow this link to learn more about what it takes and to submit your application.